Hedge End voters were surprised to see the Foreign Secretary Phil Hammond out and about canvassing in the town. 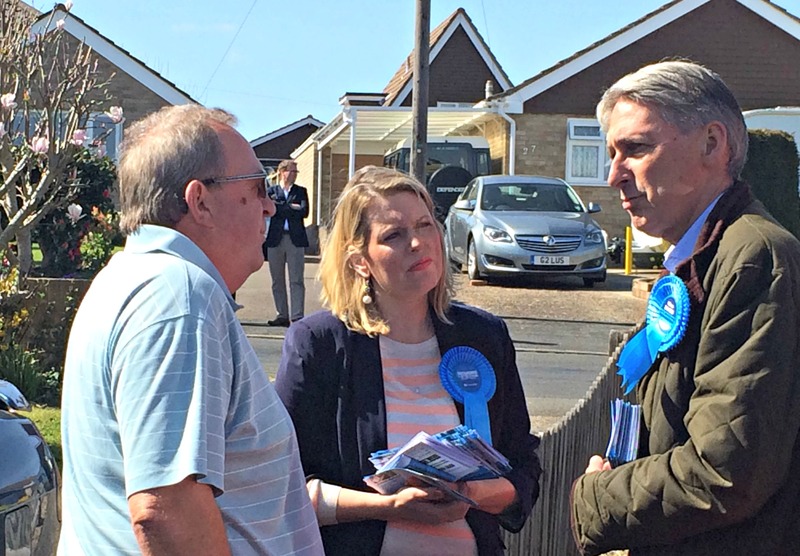 The Conservative front bencher was campaigning in support of Jerry Hall who is the Conservaitve Candidate for St John’s Ward in the Borough Election and he was accompanied by Mims Davies who is hoping to become Eastleigh’s next MP. Eastleigh is one of 23 seats the tories say they need need to win in order to return to Parliament with an outright majority. “Mims Davies is an excellent candidate, running a strong local campaign. Hammond was pfreviously the Defence Secretary and the Conservatives say that the defence budget and the armed forces covenant came up during their conversation. with residents. In a separate statement issued over the weekend Mims Davies hailed David Cameron’s pledge to raise the inheritance tax threshold if the Conservatives win the General Election. “People who have saved and put their hard-earned money into their home shouldn’t have to pay inheritance tax when they pass it on their children. Have you got a poster in the window? And no flyposting from the local Tories, on this occasion. He’s moved…! But you should see the battle of posters outside & opposite Dusty’s house. It would be good for Hedge End to have a councillor who represents the people of Hedge End and not the interests of Keith House and the Lib Dems. Hope Jerry Hall wins. If you think that, maybe why nobody knocked on your door. George Osborne likes to say we are all in this together. close tax loop holes, when he uses them himself.